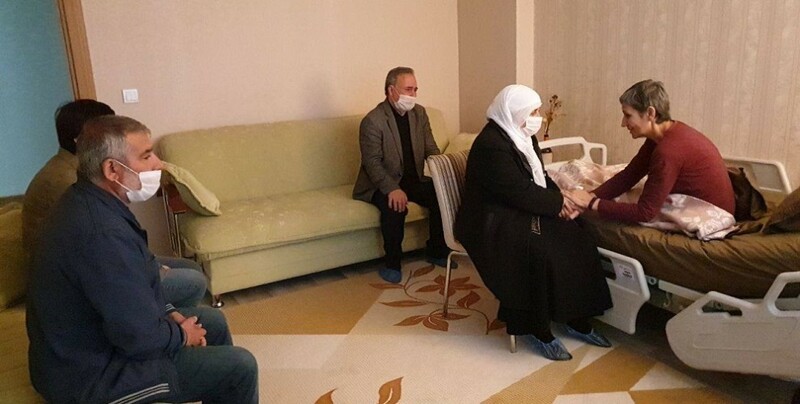 HDP Hakkari MP Leyla Güven received a very emotional visit by the family of Zülküf Gezen who ended his life in prison three days ago to protest the isolation of Öcalan. The family of Zülküf Gezen who ended his life in Tekirdağ No 2 F-Type Prison to protest the isolation of Kurdish People's Leader Abdullah Öcalan visited Güven whose hunger strike has left 132 days behind. When Zülküf Gezen’s mother, Havva, father Şehmuz Gezen and uncle Ahmet entered her room, Leyla Güven was not able to control her tears. Güven, who was able to get up only with the help of her daughter, embraced Havva Gezen and cried with her for a long time.